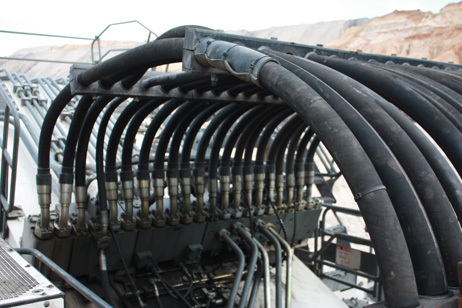 Hydraulic hose is manufactured under a unique HDS work standard which defines and develops parameters for HDS branded hose. This work standard along the continuous development of the fitting range enables HDS to achieve more than 2,000,000 impulse cycles according to ISO 6802 under rotating installation conditions. Faster machines and greater fuel efficiencies required by our OEM partners means continuous improvement to the product range is always on going. 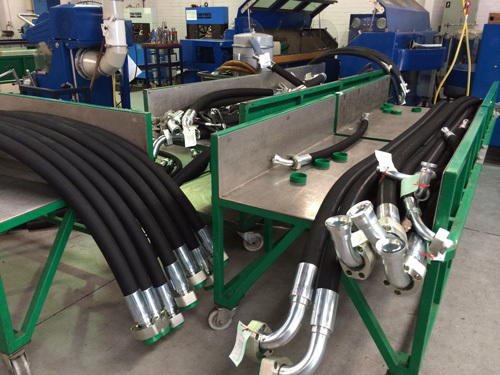 The Midvale manufacturing facility is currently fitted out with 4 assembly production lines that cater for the entire hydraulic and Industrial range of hose. 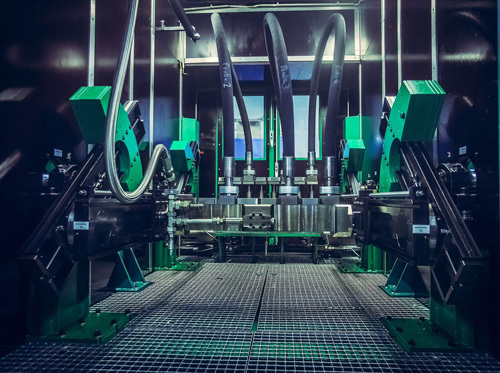 These production lines cater for both no skive and external and internal skive requirements and have patented angle setting machines for precise angle settings for critical hoses. This specialized tooling is centered on the HDS product enabling reductions in deviations and tolerances in manufacturing.At present HDS hoses have no less than 6 UnIflex and Finn-Power hydraulic hose crimpers at Midvale. Crimping up to 3″ diameter 6 wire hydraulic hose, and up to 250mm for Industrial hose, HDS have the capability to assemble all manner of hoses. HDS is a NATA accredited test facility in the field of mechanical testing, for pressure and electrical testing hoses. 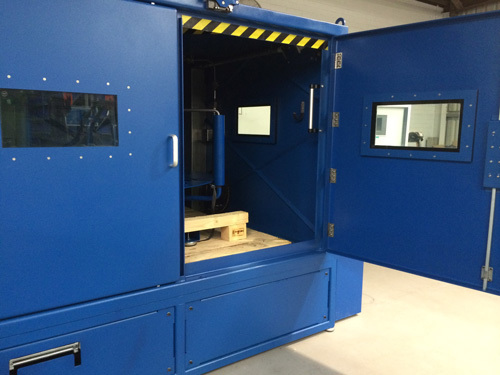 HDS currently houses 4 high pressure bench top testing units, a fully automated and recorded bench top test unit, two portable test units, and a forklift accessible test unit designed to test 6″ 60m assemblies. All the test benches are patented machines engineered and manufactured by HDS Hydraulik for series production. 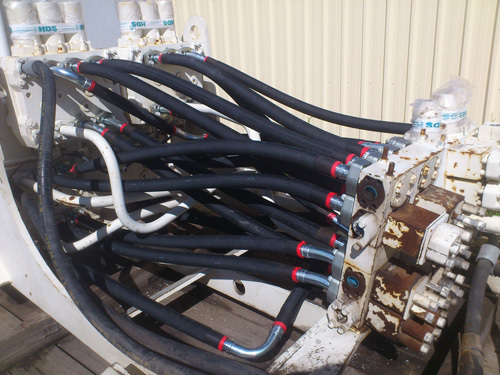 HDS are well positioned to assemble and test a large range of hose assemblies in house, with fast turnaround to relevant Australian and International Standards.All hydraulic assemblies once tested are cleaned to ISO 4406 cleanliness class 18-16-13. They are dried capped or plugged and sealed in polyethylene bags to prevent contamination. HDS can provide NATA accredited hydrostatic test reports, or a full MDR containing all 3.1 / 2.1 certs, GA drawing and assembly procedures. 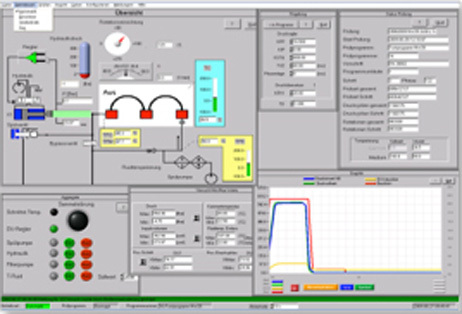 Our new range of recordable test benches will store tested data on the company server, enabling HDS to provide schematic certificates of the actual hydrostatic test. As part of our design process HDS can offer General Arrangement drawings for hose assemblies. 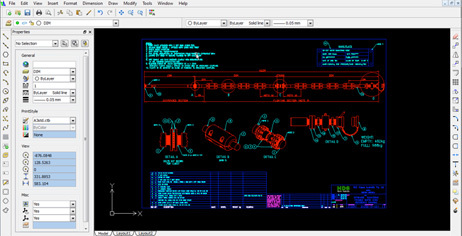 GA drawings come standard with full MDRs and are a great aid in hose design and data sheet creation. The visual layout of the hose often settles any queries and is a great addition to written hose data sheets and guidelines. HDS have extensive experience in designing kit programs for machinery in preventative maintenance to provide optimum service levels and machine performance. Working closely with the OEM manufacturer hose kit change-outs are developed for specific sections of the machine with recommended working hour. HDS have qualified hose Inspectors and Technicians who can undertake Hose Audits on all types of hydraulic equipment, in house, within the Perth metro area, Offshore and remote sites. Our experience extends from audits undertaken on large hydraulic excavators through to Offshore gas platforms off the coast of Western Australia.All audit staff have MSIC clearance and have undertaken OPITO approved BOSIET training in order to work in the Offshore and Maritime Industry. Copyright © 2019 HDS Hoses Australia. All Rights Reserved.